The Queen wore this ensemble to a garden party back in 2014, which gave me an opportunity to praise it as one of the best in her current outfit rotation. 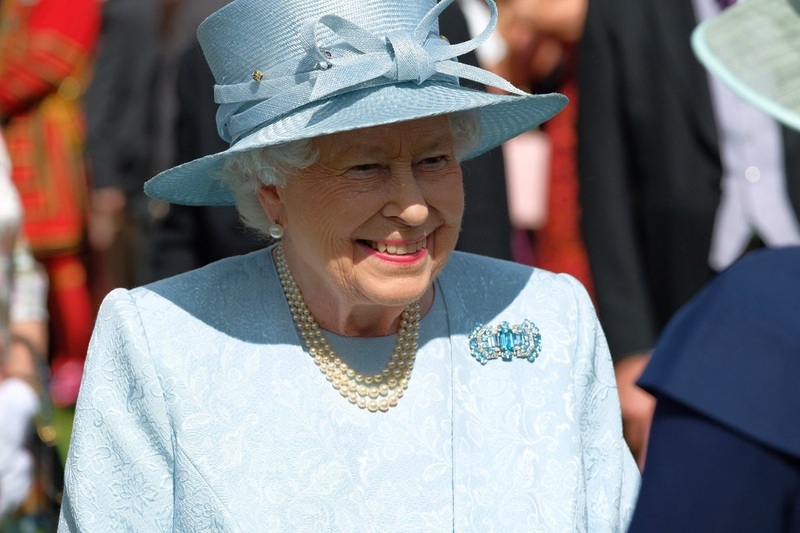 And now I get to say it once more with feeling, because she's swapped the Aquamarine Clip Brooches for the Queen Mother's Aquamarine Art Deco Brooch - a piece that has rapidly overtaken its clip cousins as my favorite of Her Maj's aquamarine brooches. Excellent.